An endearing sepia photo of a couple caught kissing on a rainy evening. The man is wearing a trench coat and his woman a scarf over the head. This was taken in the 1940s, most likely. 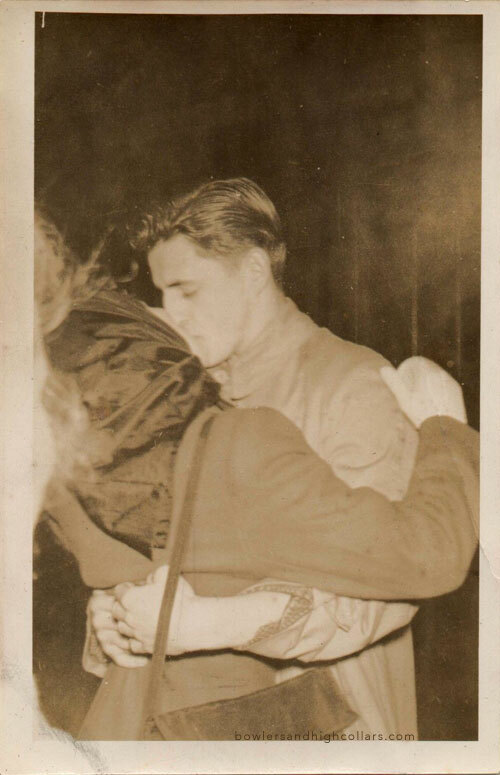 This entry was posted on Tuesday, March 31st, 2015 at 11:34 am	and tagged with 1930s-1940s, candid, kiss, WWII era and posted in Couples, Others. You can follow any responses to this entry through the RSS 2.0 feed.